Now with organic ingredients! Washable. Reusable. Anti-bacterial. This replacement for your Saran wrap keeps your food fresher longer. 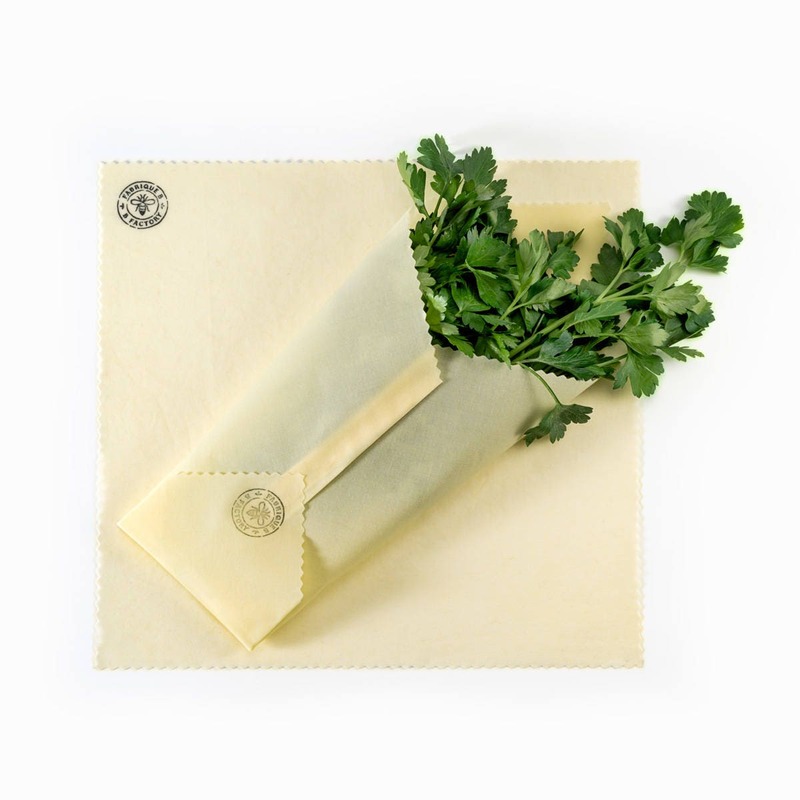 The blend of beeswax, tree resin and jojoba oil creates a long-lasting wrap that works fantastic for covering a dish, as well as wrapping your cheeses, fruits and vegetables, and herbs. 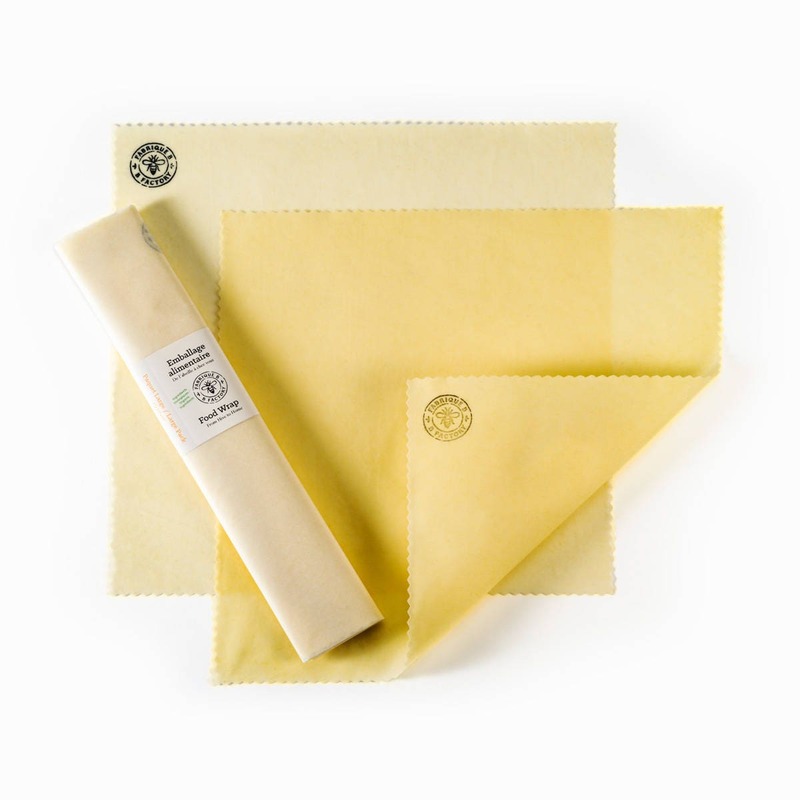 Hand-made with unbleached cotton muslin, beeswax, tree resin and jojoba oil. Super useful and ecofriendly! Awesome! Great product, lasts a nice long time. Ce produit remplace complètement la pellicule plastique. Il colle bien et s'adapte à tous les aliments et contenants.